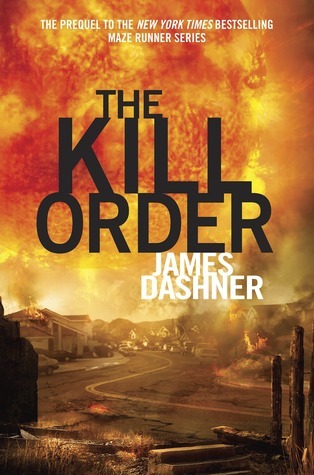 In this prequel to The Maze Runner series, readers learn what happened on earth that led to the events in the trilogy. Mark and Trina were normal teens going home from school when the sun flares struck and they had to run for their lives from devastating heat, floods, and other disasters. They ended up living with a few other survivors in a big office building until they deemed it safe to leave. Eventually they found themselves living in a little village full of survivors from the natural disasters, but are horrified when they witness a plane land near their village and start shooting everyone in the town with a terrible virus. Once again they are on the run to survive and they can’t help but wonder what will come at them next. In order to save themselves they must go toward the people who spread this terrible disease. What if they were already exposed? Why would humans spread this virus? Is there ever going to be a time when they feel safe and do not constantly worry about what tragedy could befall them next? Fans of the trilogy will enjoy the prequel. It’s a little slow to introduce the characters of the book so that the reader cares about what happens to them, but the book answers any questions leftover where the trilogy ended. Also, there is a lot of action and plot twists that will keep readers interested. This series feels very planned out and well-developed.